If you have minor children or are caring for them, you have probably thought you need to name guardians for them should something happen to you. And you are right, it is important to name guardians in writing to care for your kids should the unthinkable happen. Without written instructions about who you want to raise your children, a judge who knows nothing about you nor your family dynamics will be making this critical decision for you. 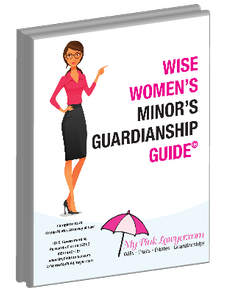 Download this Minor's Guardianship Guide today and learn more about how to choose and nominate the best guardians for your kids. Although no one can replace you, you can at least choose the next best person(s) to raise your kids.